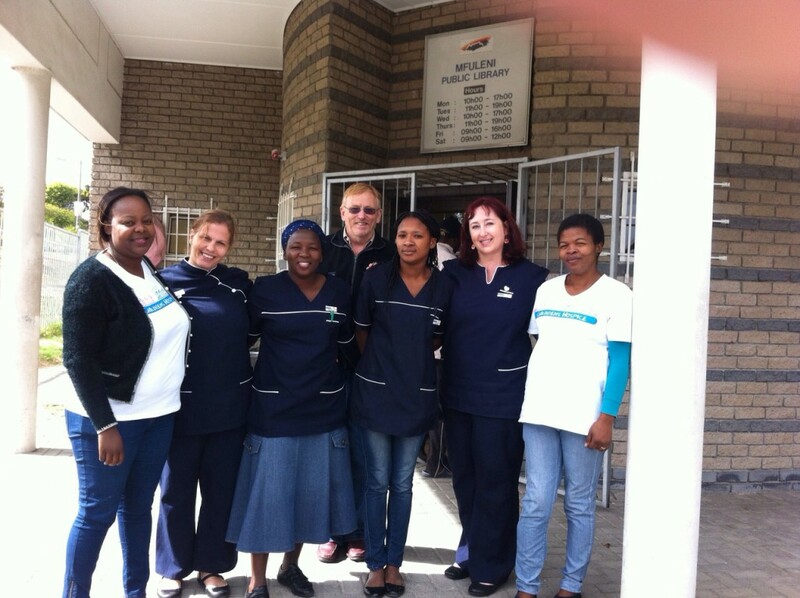 Following their support of our Mfuleni hub in January. Mr Robert Pritt of the Rotary Club of Twickenham-Upon -Thames joined the Iris House team for a visit to the area. Robert’s first visited one of our care team members who has set up a day care centre in her garage which is supported by Iris House. He then went to the Library premises were we hold our meetings, training and support groups. We wanted Robert to meet some of our families in their own homes, so the team took him to three of our families two of which live in shacks. Robert was given a Certificate of Appreciation by Iris House to take back his club in the UK. 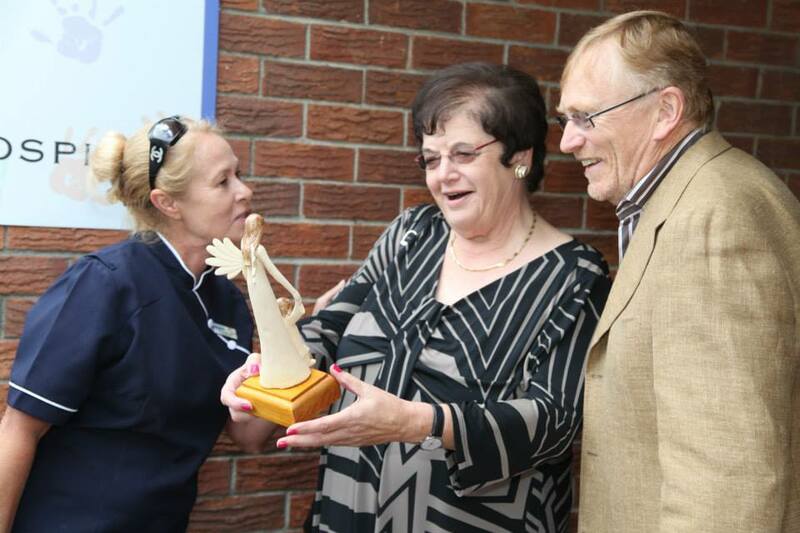 He and his wife Sue were also presented with a Guardian Angel in recognition of their generous donations of goods and time to our Hospice renovation including tailor made curtains and blinds, bed covers and security cameras. Robert and Sue not only paid for all the items but also drilled or hung them all up with great enthusiasm. Robert is currently working on getting a matching grant for the original R14,000.00 donated by his club. Prior to their leaving Cape Town for their home in the UK, Robert contacted several Cape Town Rotary Clubs opening the door to Sue as a guest speaker. 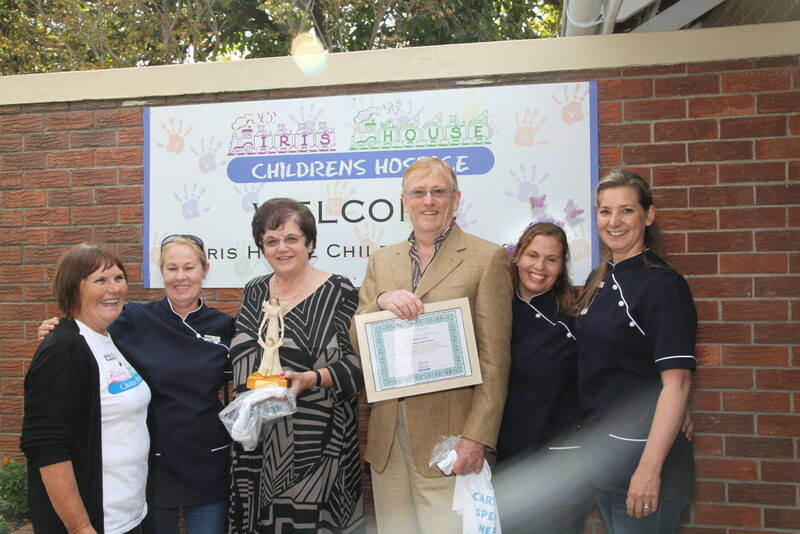 So far this has resulted in the Sensory Room being fully sponsored and a personal donation of R25,000.00 to Iris House. Robert’s wife Sue is under going hip surgery in June, we wish her a speedy recovery and look forward to seeing them both again in December.